Prepare and enjoy a classic Dim Sum meal from scratch during this hands-on cooking workshop on making the quintessential Shanghainese delicacy. 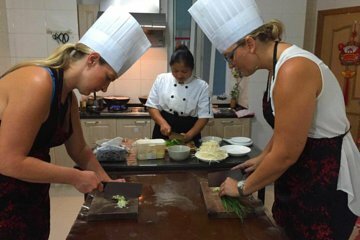 Culinary classes include a guided wet market visit to pick out fresh ingredients followed by personalized lessons in the kitchen. You’ll also feast on a Dim Sum dinner, accompanied by home-made wine, tea, and snacks.